Western honey bee; collecting nectar in the morning sunshine. Photo by Bob Peterson/Flickr (Use Permitted with Attribution). 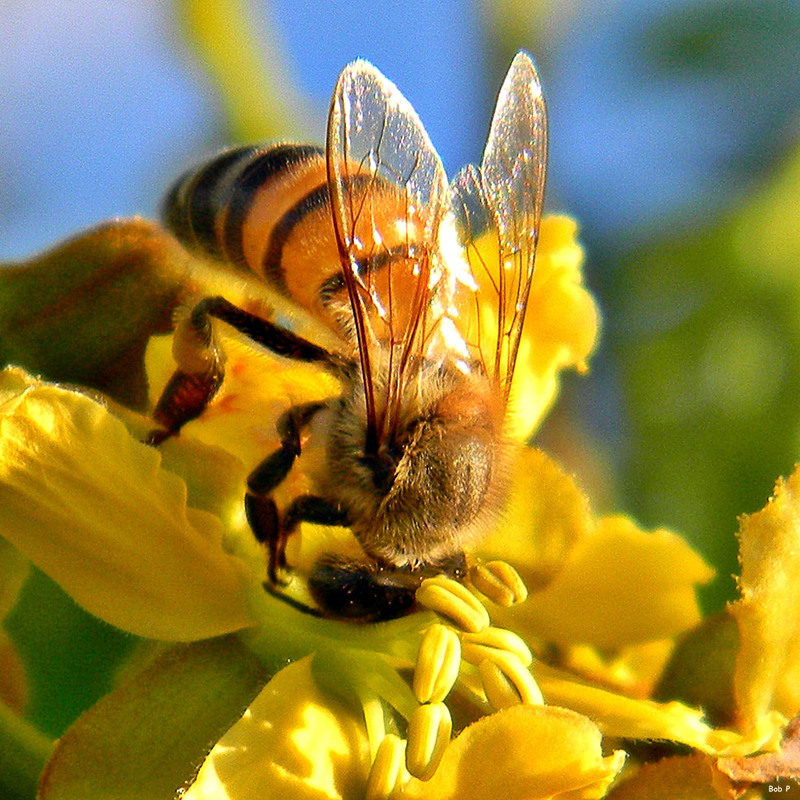 RESOLVED, That the 84th Legislature of the State of Texas hereby designate the western honey bee as the official state pollinator of Texas. 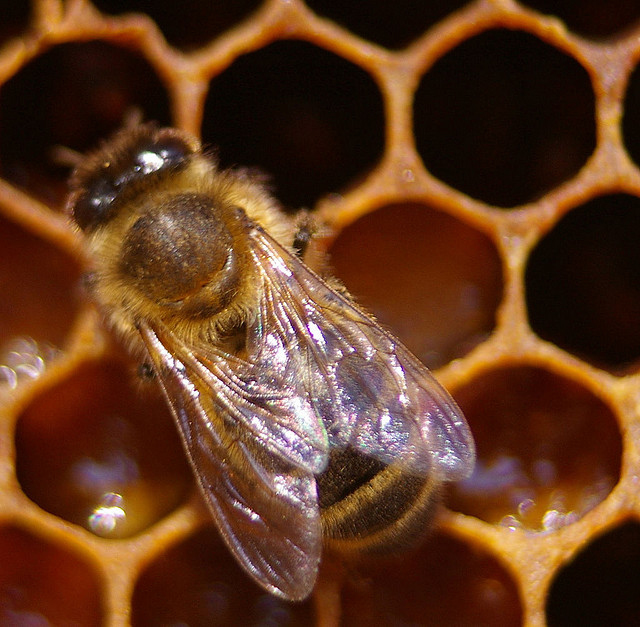 A young housebee in the hive inspecting an empty cell of the honeycomb; photo by Max Westby on Flickr (noncommercial use permitted with attribution / share alike). 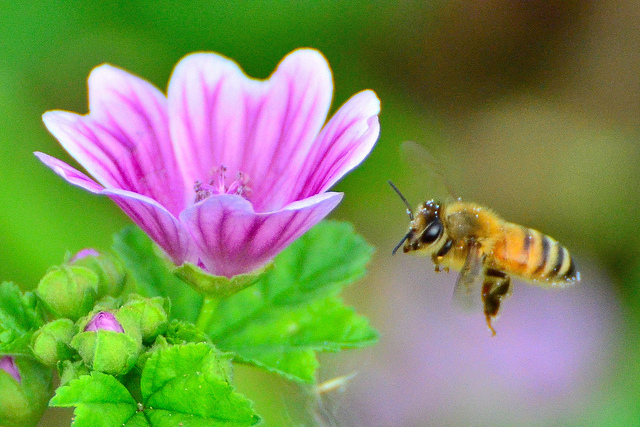 Honeybee in flight; photo by Toshihiro Gamo on Flickr (noncommercial use permittted with attribution / no derivative works). 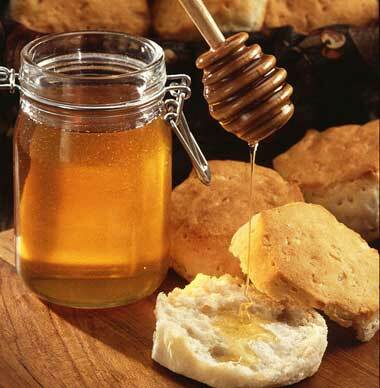 Dripping honey from a jar; photo by Scott Bauer, courtesy of USDA Agricultural Research Service Image Gallery.